Two birthdays in the family meant the perfect excuse to go somewhere special for dinner. 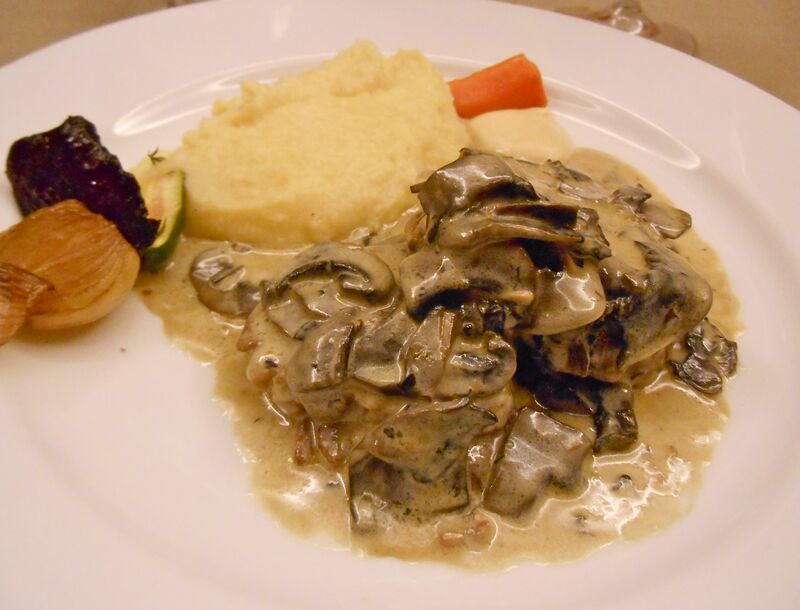 And 95 Keerom is just that, serving proper Italian cuisine in a lovely, historic building (circa 1682) that used to be the stables and slave quarters of the Company Gardens which are nearby. Chef Giorgio Nava, who was born in Milan, won the World Pasta championships in Parma last year with his recession-inspired recipe using broccoli and oregano flowers. 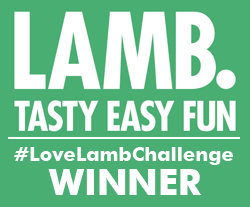 He runs four restaurants in Cape Town and confesses to working 18 hours a day, seven days a week – now that’s passion – a passion that really comes through in the food. 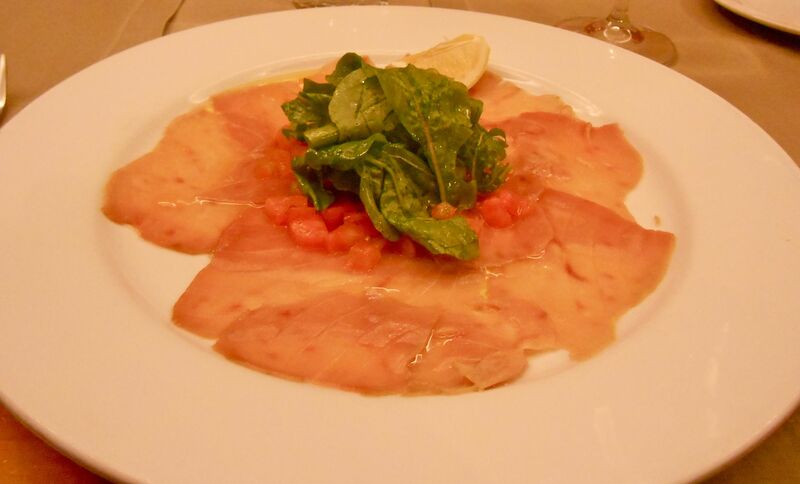 95 Keerom is carpaccio heaven with a wide range of meat and fish dishes served this way. Our family are a bit carpaccio-crazy so another reason this was the perfect restaurant for a birthday celebration. I tucked into the special carpaccio for the day (tuna). Il Carpaccio di Pesce Scottato Alla 95 which was quickly seared in the oven, very thinly sliced and dressed with fresh rocket and tomato. A real melt-in-the-mouth dish. 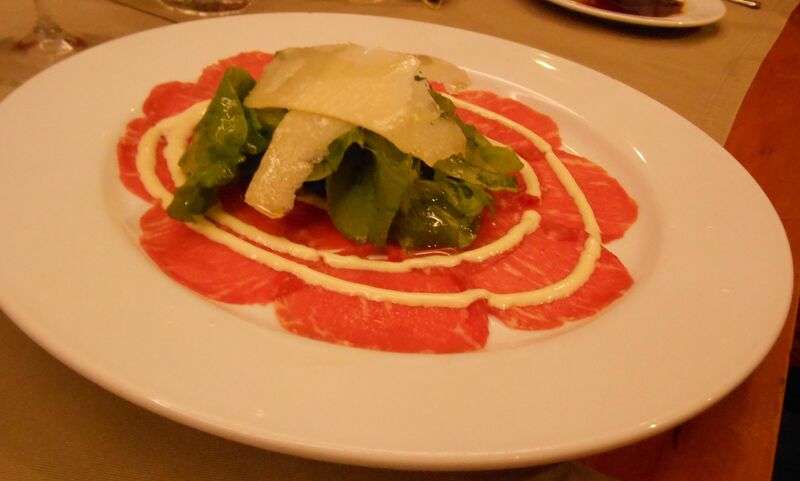 Beef carpaccio is drizzled with homemade mayo sauce and topped with fresh rocket and shaved parmesan. Next up, another Italian classic that I’ve eaten in dozens of restaurants around the world and never ceases to satisfy. The insalata caprese included Italian tomatoes, fresh basil, chopped capers and creamy burrata mozzarella. Yummy! 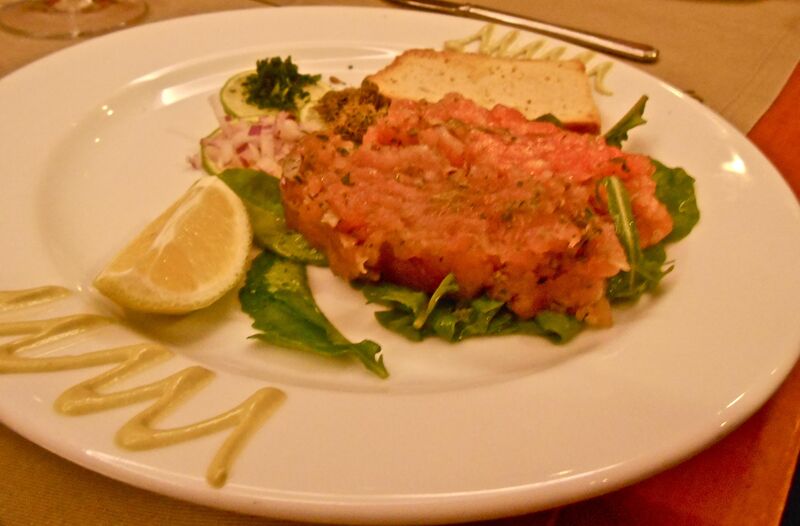 This delicious fishy combo is raw tuna and salmon hand chopped with capers, tomato, onion, parsley and olive oil. Seriously, it’s irresistible, such a simple dish done so perfectly. I’ve said it before, and I’m saying it again, I have serious decision-making problems with menus. If there’s a large table of people I have to order last or I keep changing my mind (I know, very annoying, especially for the waiter). So today I pondered long and hard and went for the rolled pork filled with ricotta and spinach and topped with a mushroom sauce, served with parmesan mash. Such an amazing dish, it definitely was the order of the night (not that it’s a competition…). 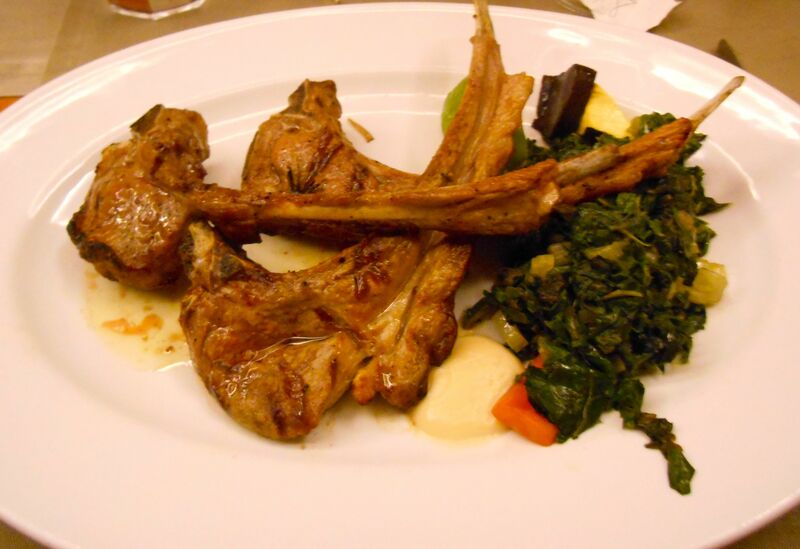 Grilled Karoo lamb chops were cooked with olive oil and rosemary. 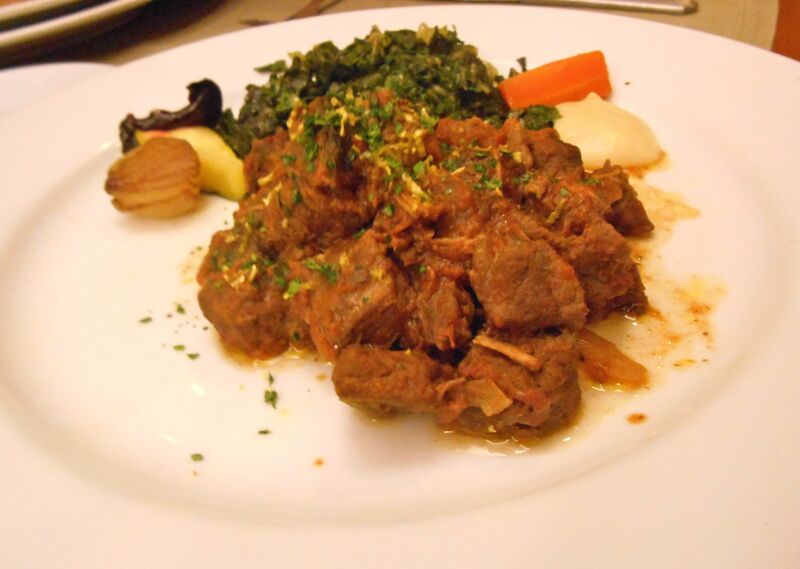 The springbok casserole was low cooked in tomato sauce with carrots, celery and onions. 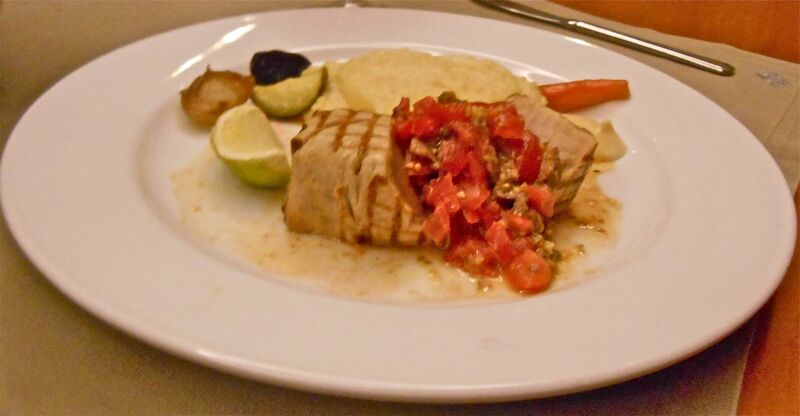 Fresh tuna fillet was served New York-style, seared and accompanied by cherry tomatoes, capers and olives. The Italian classics keep coming. 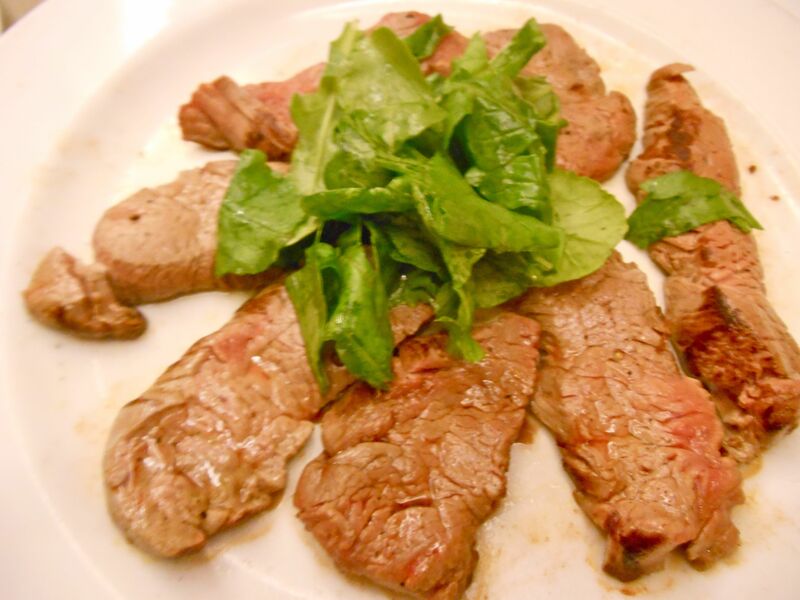 Tagliata al resmarino – sliced prime beef fillet, grilled with olive oil, garlic and rosemary and served with peppery rocket. 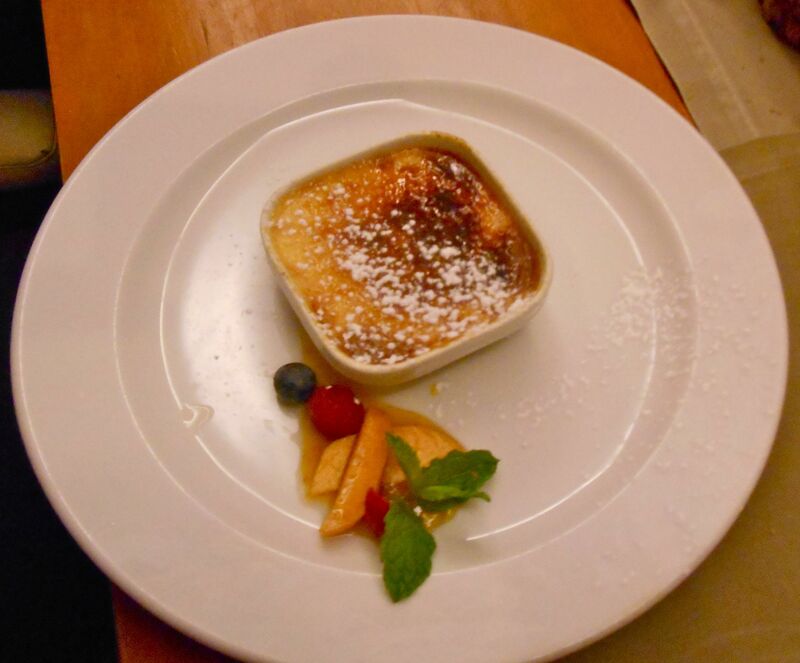 And for dessert, a creme brule. If you’re looking for classic Italian dishes that deliver, look no further than 95 Keerom. And it’s a glamorous setting for a celebratory night out, too. 95 Keerom is in 95 Keerom Street in the centre of Cape Town.